I am thrilled that in my journey in self-publishing, I have come across some incredibly talented and wise individuals who are on their own journey. I consider Dan Holloway to be one of those individuals. I have read his works, which I consider to be insightful and helpful to other authors. As a top reviewer, I particularly loved this post because Dan discusses key points behind why I developed The Author CEO for authors. 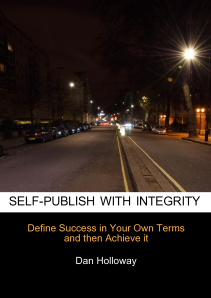 Celebrating his release, Self Publish with Integrity, Dan discusses listening and communication skills imperative to authors. Want more of Dan Halloway? Follow him at http://danholloway.wordpress.com. I followed an interesting conversation on a private authors’ forum earlier this week. It’s the sort of conversation you’ll hear every day of the week in such groups, and it’s a large part of the reason I wrote Self-publish With Integrity. A writer was looking for thoughts on the cover of a book she will be bringing out this spring. What happened next was one of those oft-repeated scenarios that makes you want to tear your hair out. A long thread quickly built a head of steam as people each contributed well-meaning advice – “the figure suggests erotica” (really? ), “the colour suggests something much darker” (really? ), “the texture suggests imprisonment” (REALLY? ), “the font doesn’t work” (fair point). And so on. The thing is that each of these pieces of advice would be useful in helping the writer to achieve a target. But they’d be different targets. And most of them wouldn’t be the writer’s! The problem with advice is that 90% of those who give it do so from their own experience and perspective, which may be very different from yours, and by extension very different from your readers’. The further problem is that some of the advice you get is actually really good advice (the font really did need work in the case outlined above), so throwing everything out, or not bothering to ask, whilst it might not land you in as much trouble or confusion as going along with everything, is hardly the optimum strategy. OK, so you will have realised by now that this piece is actually less about bad listening than about good listening. 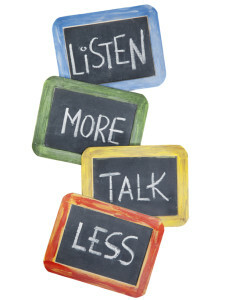 But what being a good listener means, when it comes to seeking advice, is at least as much (and the newer you are to the writing game the more this is true because the more your natural enthusiasm and desire to sponge up information from any and everywhere will be your default setting) about learning what to ignore as it is about learning what to take on board. This is excellent advice. But it represents the second stage of the process, and ignores the critical first stage, which is that you have to know exactly what you want to achieve in order to know what help to ask for, and then how to sift the countless responses you will be given. In a sense, eve that is not the first stage – it is not sufficient to know what you are trying to achieve with this book or that book. You need to know what you are trying to achieve with your writing as a whole. Only then can you see where your current book fits into that plan, what you want it to do, whom you want to engage, what you would like their response to be, and only once you are completely confident in both of these stages can you formulate questions about the kind of help you need in order to achieve those goals. The single most important thing you can do when you start out on your journey is to work out exactly what you want your writing to give you. I’ve spoken about that at length elsewhere online (http://janefriedman.com/2014/01/03/what-you-want-from-writing/ )as well as in the book so I don’t want to retread too much ground here. What I will emphasise is that, as in all goal-setting, the key is to be specific – if you “want to connect with readers” you need to specify what readers, and how you want to connect with them. If you “want to tell stories” then what stories, and for whom? * Your cover – will it appeal to your chosen demographic? Will it mislead them as to the content? Will people who are drawn to it be disappointed by the type of story you are trying to write? * Your point of view, voice, and characterisation – whose story is this? Will readers identify with them? Do the kind of readers you want to attract need to identify with them? * Length and structure – do the kind of readers you hope to attract have any expectations? Will you upset them if you do not meet them? Might it be the case that to get your story across you need to upset them, or gently subvert them, in a good way? In this case, the answer is fairly straightforward (it might not always be, and may take some real soul searching, but for a blog of this length straightforwardness helps!). You are writing for middle age women who have lost a partner or had a similar life experience and are “like you” (for the sake of simplicity again, but bearing in mind this is utterly transferable, let’s say that this means they are cosmopolitan, western, liberal, and have independent means). Now you know to whom you want to appeal, and why, it is so much easier first to select your beta readers, and then to put questions to them (in this case a lot of the questions flow naturally from the previous stage – “do you identify with the protagonist?”, “Does the cover make you think that this is a book about someone like you?”, “The story is about a woman coming to terms with the loss of a partner. If the cover makes you pick the book up, would you be disappointed or pleased to find that?”, “Does the protagonist have enough friends? Do you like them? Should they be more supportive of her or put more obstacles in her way?”) that will give you answers that are exact, with luck not too contradictory, and most of all that will help you to achieve not the targets of well-meaning people who want to help, but yours. 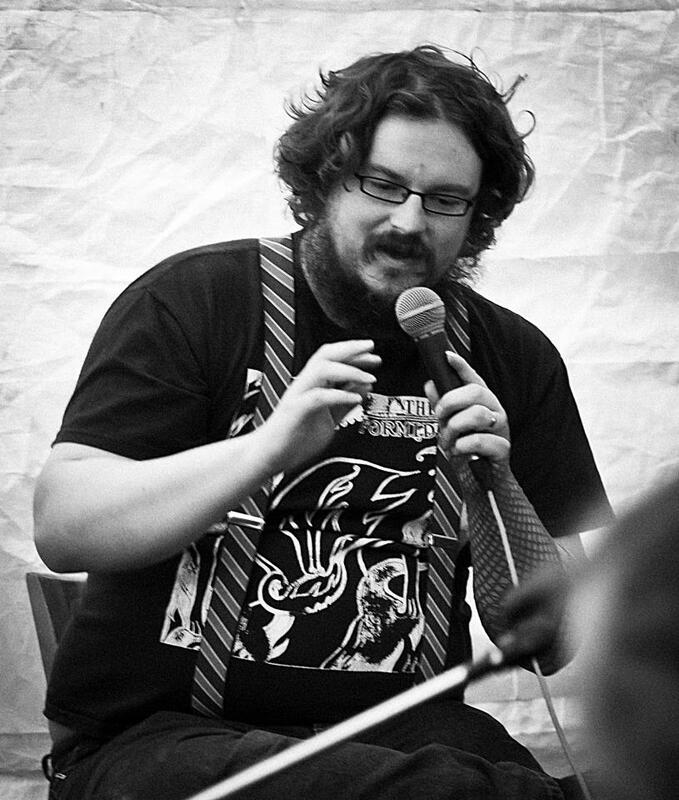 Dan Holloway is a performance poet, novelist and journalist. In 2010 he won the international spoken word event Literary Death Match and in 2011 his novel The Company of Fellows was voted favorite Oxford novel by readers of the world famous Blackwell’s bookstore. He is the host of the spoken word show The New Libertines which has toured festivals across the UK for the past three years and writes about avant garde literature and self-publishing across the internet including regular contributions to the Guardian Books Blog. Be sure to follow Dan on the following social media sites! Agree with all of this, except the part about the cover. As a designer I constantly have to remind people that (assuming your book is properly classified by genre) the purpose of a cover isn’t to tell the story, or to trumpet the genre, but, rather, to catch the reader’s eye so THEY READ THE BLURB!! No one buys a book because of the cover alone – it just entices them to read more about it. Looking just like all the other covers in your genre gives them zero reason to check out your book over dozens (or hundreds) of others. On that note, Sessha, as a top reviewer, nothing will chase me away from a book quicker than a bad cover. The book can be awesome; however, if the cover stinks, I will immediately bypass it. If it looks cheap or cheesy, it says to me that the author didn’t put enough into the cover design…what did he/she put into the book?